In just five months, Fluence was able to design and complete a wastewater treatment plant that allowed Consorzio Cartiere di Tivoli, a paper manufacturer, to reduce energy consumption and sludge volume, and comply with discharge requirements. Sustainability is a primary goal driving businesses worldwide. Across a wide range of industries, a focus on efficiency is helping operations meet government regulations and increase profits. This case study shows how Fluence helped an industrial paper manufacturing plant in Italy upgrade its wastewater treatment facility to improve the quality of its effluent, reduce energy consumption, and lower operating costs. Paper manufacturing is the primary industry in the central Italian town of Tivoli. Consorzio Cartiere di Tivoli is one of the local businesses. In its 33,000-square-meter (355,000-square-foot) facility, the company produces industrial bulk paper for other companies worldwide to finish into consumer products. It produces so-called jumbo rolls, which are manufactured primarily from pre- and post-consumer recycled paper, as well as cellulose from certified sources. Every day Consorzio Cartiere di Tivoli produces roughly 60 to 65 tons of unfinished tissue, as well as 240 to 260 tons of cardboard packaging. Paper production is typically very water-intensive. When Consorzio Cartiere di Tivoli reduced its water consumption, the increased concentration of pollutants in the effluent became more than its existing aerobic wastewater treatment plant could handle, and the plant was unable to meet the parameters of its discharge permit, particularly at maximum production. To meet permit conditions and reduce energy consumption, Consorzio Cartiere di Tivoli executives contacted Fluence, looking for the best available technologies to address both issues quickly and effectively. Fluence was able to engineer and build the plant in less than five months, reusing some of the plant’s existing equipment to save on capital expenditure. The changes ultimately reduced the facility’s operating expenses as well. Paper production at this facility produces water with a considerable chemical oxygen demand (COD), ranging from 3,000 to 4,000 mg/L. Because the process is based on recycled paper, the effluent is more readily degradable than the effluent from wood pulp, making it a good candidate for anaerobic digestion. The plant generates approximately 100 m3/h of wastewater. The process produces biogas, which the facility uses as fuel for its boiler, generating steam used in production. 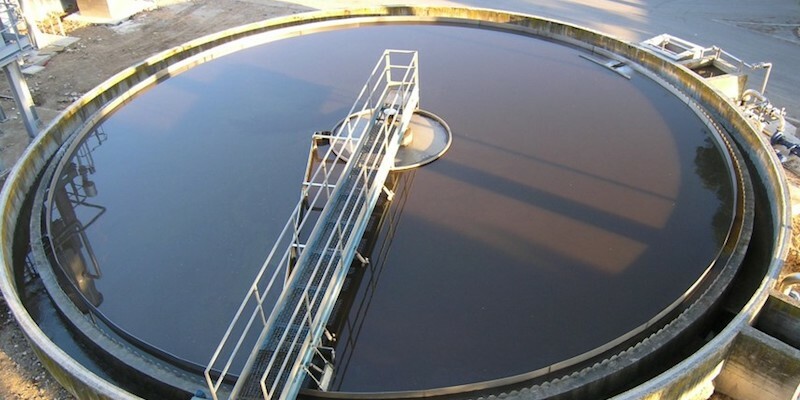 The plant’s anaerobic treatment uses granular sludge digestion. The wastewater is pretreated in a stainless-steel external forced circulation reactor to remove soluble compounds that contribute to the water’s high level of COD. In only nine hours of hydraulic retention time, the COD of the wastewater is reduced by between 70 and 75%. The heart of the project is the External Forced Circulation Reactor, a technology created by Fluence Italia based on upflow anaerobic sludge blanket (UASB) technology. The system’s increased flow velocity is obtained by incorporating a recycled portion of the raw effluent, which permits partial expansion of the granular sludge bed, improving wastewater-sludge contact and enhancing the segregation of small, inactive, suspended particles from the sludge bed. The refurbished plant has been operating since June 2010, efficiently treating wastewater with very high levels of COD. Since the new process went online, Consorzio Cartiere di Tivoli has reduced its sludge waste volume by 8 tons a day and its energy consumption by 8,000 kilowatt hours a day. The improved quality of treated wastewater meets local environmental compliance standards. A reduction in fossil fuel use makes the company eligible for energy-enhancement certificates from the state. And with the addition of waste-to-energy technology, Consorzio Cartiere di Tivoli no longer has to buy natural gas from the local utility, saving 230,000 euros a year. These figures make it clear that meeting environmental goals can reap other tangible benefits — including significant savings in energy and operational costs.